CPI has welcomed new resident clients to its state-of-the-art facility – just months after opening. The printable electronics centre, based on Aycliffe Business Park, has welcomed Silent Sensors, Datatecnics Corporation and HP1 as tenants, along with Wootzano and PST Sensors at its original site on NETPark, in Sedgefield, also County Durham. Moving into incubator space, the companies will benefit from CPI’s technical expertise and cutting-edge equipment as they seek to take innovative products to commercialisation. CPI’s facility supports the advancement of smart label and tag technology, which allows everyday physical objects to wirelessly communicate and exchange data across the Internet of Things. This technology is already prevalent in devices enabling remote monitoring of heating and domestic appliances from smartphones, while it also holds great potential in the healthcare sector, where patients can be prompted to take medication via a smartphone reminder. CPI’s facility holds the key to companies being able to both develop prototypes and then rapidly scale up to levels to test manufacturing quantities. Silent Sensors has moved into the facility to build upon existing work with CPI at the latter’s NETPark-based printable electronics hub. The initial collaboration, funded by Innovate UK, was focused upon improving existing antennae designs and incorporating printed sensors into the tyre-making process and supply chain. A second Government-backed Innovate UK funded project looked at incorporating energy harvesting technology into the sensor tags as well. The current collaboration with CPI is funded through the EU’s current innovation framework Horizon 2020, with the ‘OnTrack’ project for Intelligent Tyre Life-Cycle Management. By developing such an intelligent tyre life-cycle management system, users will benefit from accurate, real-time data on tyre condition and performance – enabled by the Internet of Things – to increase safety and efficiency. Datatecnics Corporation are pioneers of intelligent infrastructure systems. The award-winning company designs, develops, and commercialises technologies that embed electronics into physical civil structures enabling its clients to conduct real-time condition monitoring and predictive analytics. CIPPS combines real-time machine learning and AI with mechanical deterioration models to provide an ‘Estimated Time to Pipe Failure’ to utilities. The solution can be installed on existing assets and newly extruded pipes and supports pipeline operators in moving from reactive repair to proactive maintenance. Wootzano is known in the flexible electronics field for its Wootzkin product, which is one of the world’s first commercially-available highly-sensitive and fully-compliant force and pressure sensor embedded with temperature sensors. Working as an electric skin, Wootzkin makes a robot more intelligent, with piezoelectric and piezoresistive sensing capabilities enabling it to grasp various delicate objects with greater ease. HP1 Technologies will use CPI’s facilities to continue work on creating a low-cost printable pressure sensor capable of measuring high force values. The technology was initially designed for integration into crash helmets, to collect data about head impacts and resulting head injuries from collisions for sports and leisure helmets. HP1 Technologies has also started work on a military helmet system. 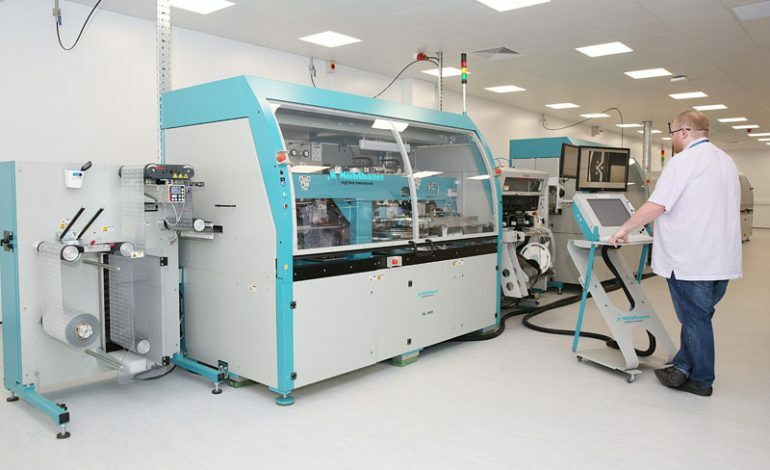 John Cocker, CPI’s director of Printable Electronics, said: “Our Newton Aycliffe centre provides us with cutting-edge facilities, leaving us uniquely placed to provide clients with thin, flexible electronics at an unparalleled scale to meet future technological needs. Sharon Boyes-Schiller, Chief Operations Officer at Silent Sensors, said: “Working together with CPI over the last three projects has enabled us to move farther much faster in our funded projects than we could have on our own.